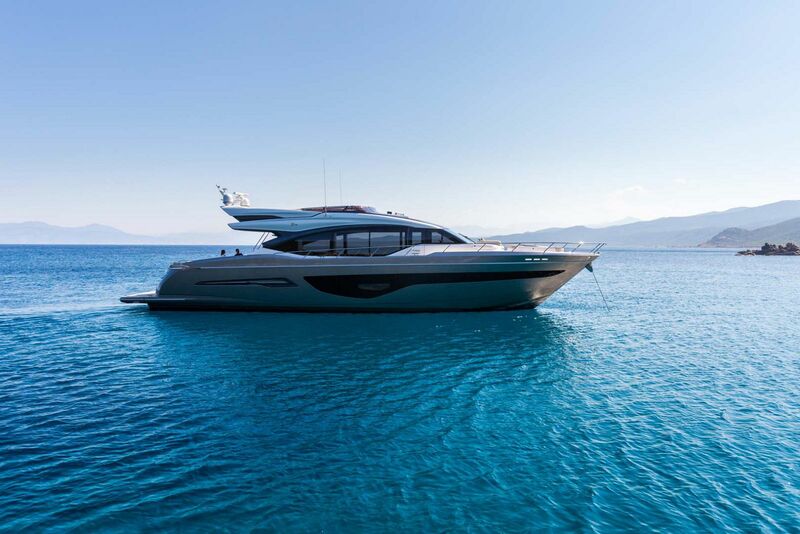 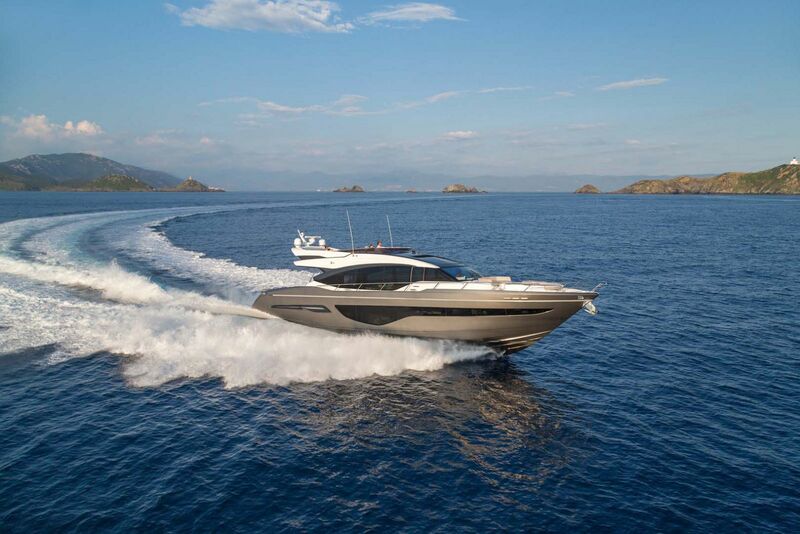 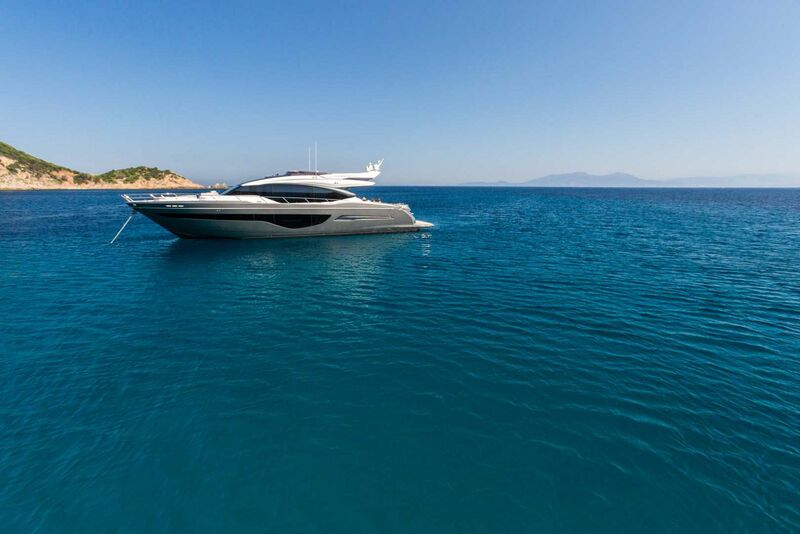 Despite being versatile, the all-new Princess Yachts S78 Sportbridge is also overwhelmingly stunning. 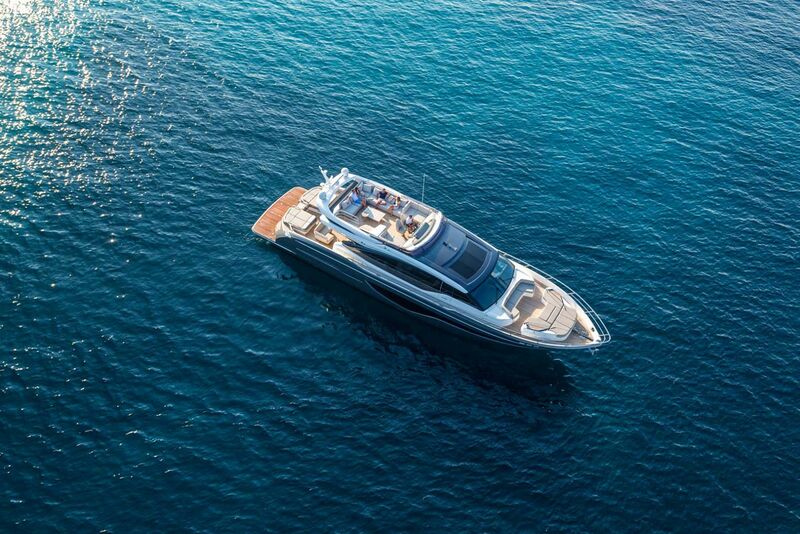 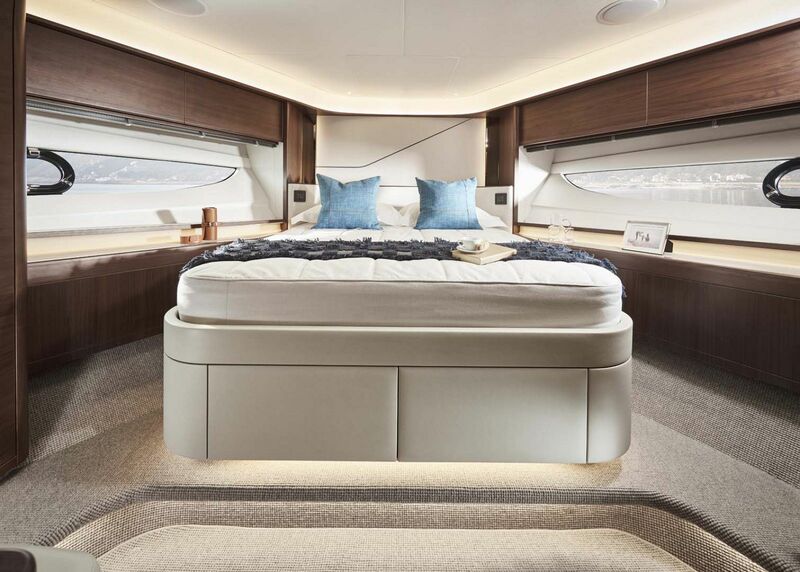 Whether cruising for the summer or just on a weekend excursion, the Princess S78 has a multitude of spaces on board meant for socializing, luxury accommodations like no other yacht in its class, and a stable, comfortable ride that will allow your guests to enjoy their experience. 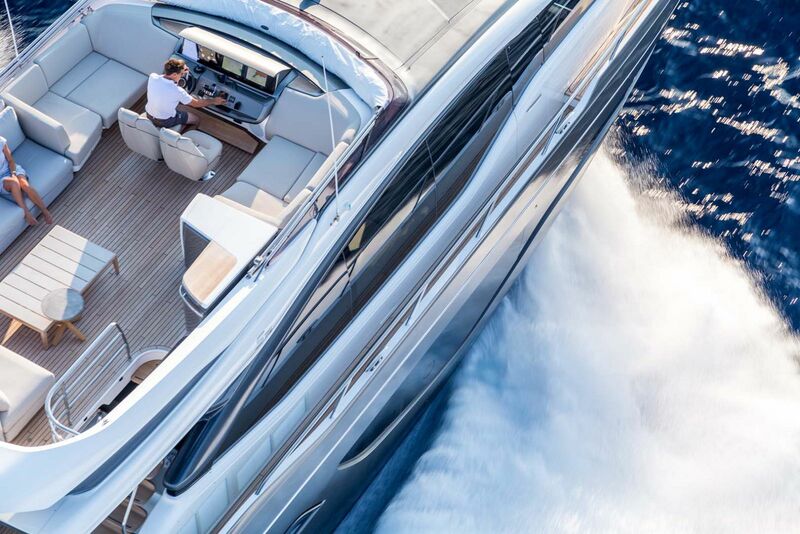 With a top speed of 39 knots, the force at full throttle may leave you feeling exhilirated whether in the captain's chair or not. 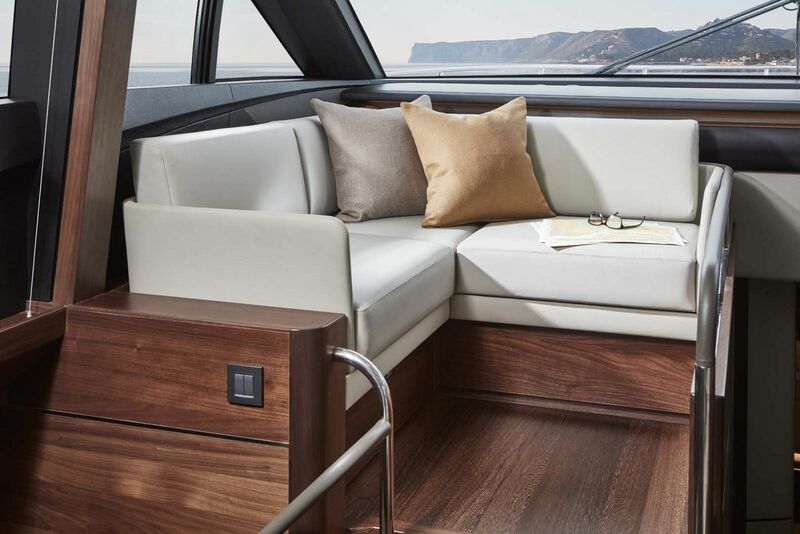 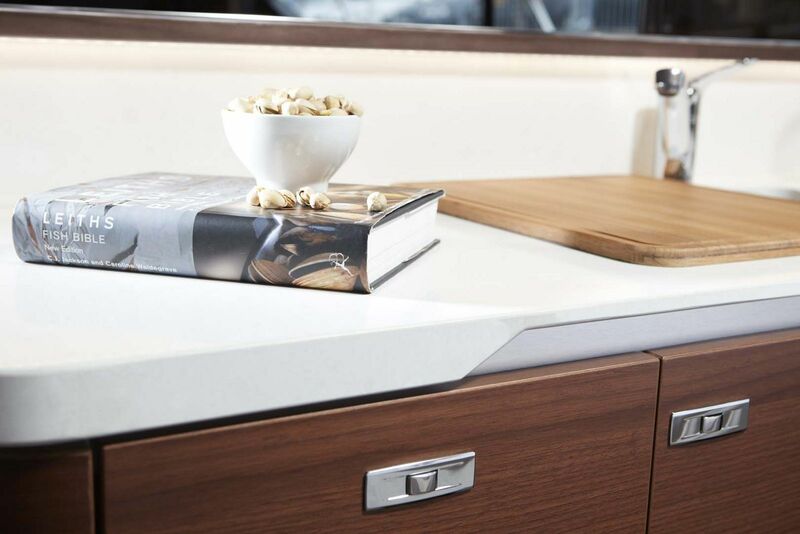 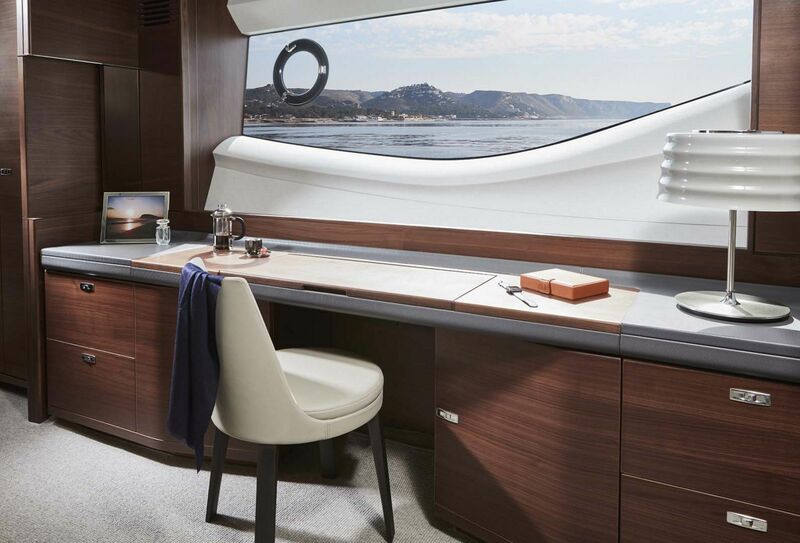 Taking cues from the popular Princess S65 and S72 models, the S78 combines the adventure of a flybridge yacht with the interior benefits of a sports cruiser. 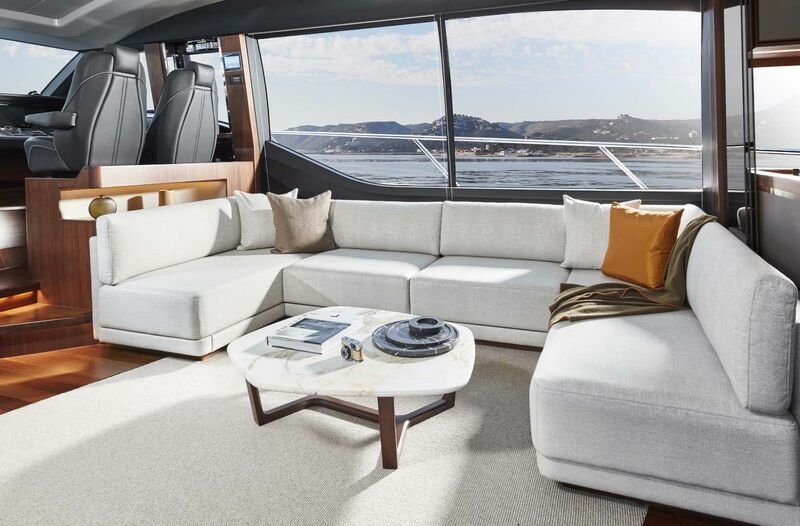 The sportbridge is the area where everyone will congregate during the day or evening. 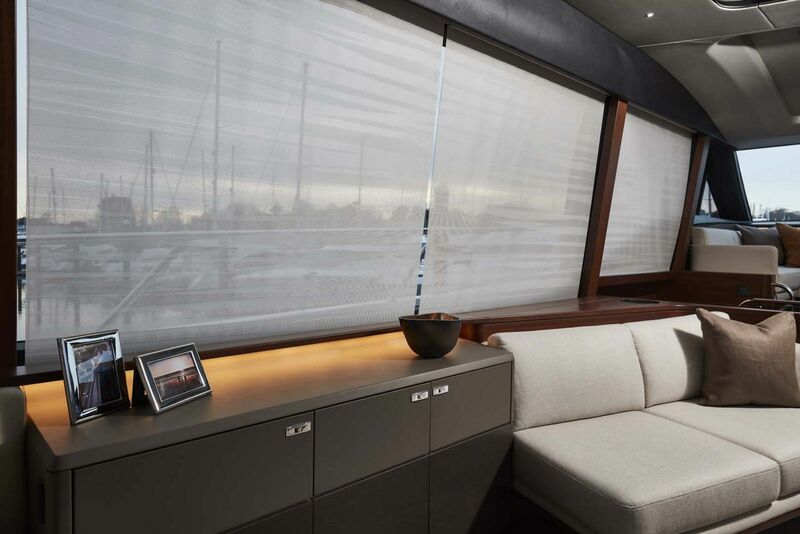 The views from the bridge are spectacular and unless it's poor weather, the ambiance is superb. 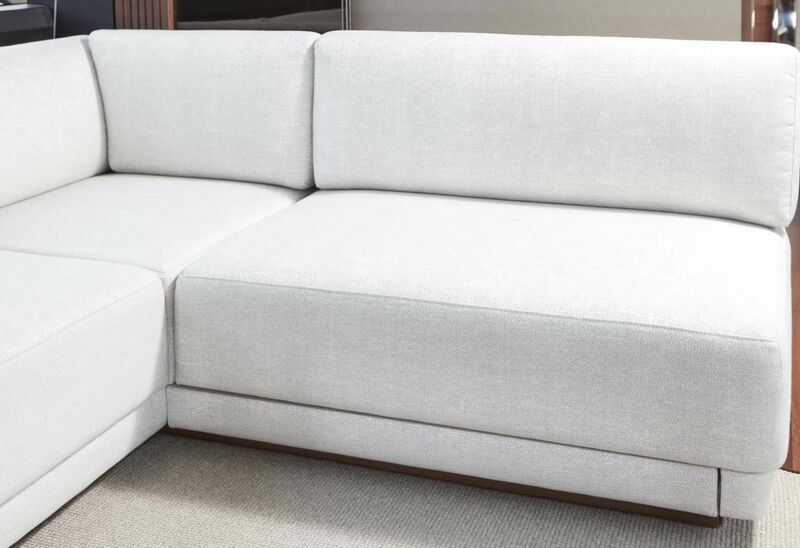 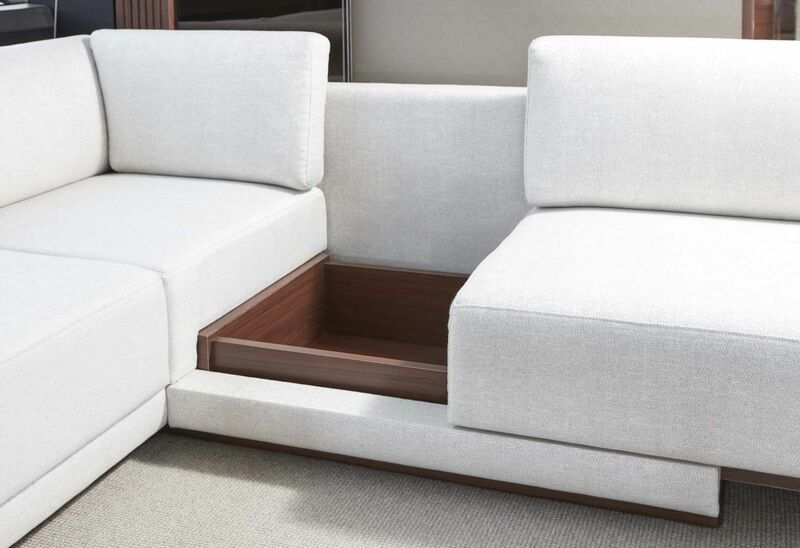 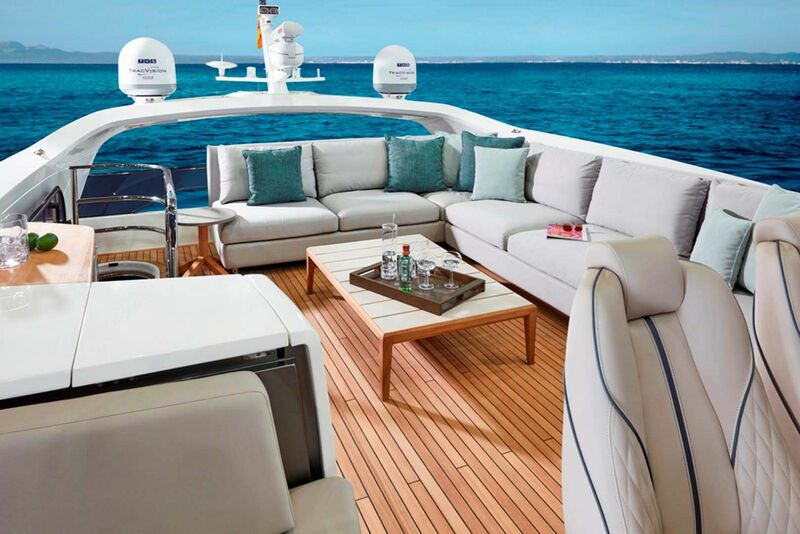 There is a large free standing area with a table for cocktail parties as well as a large L-shaped seat which converts to a sunpad if desired. 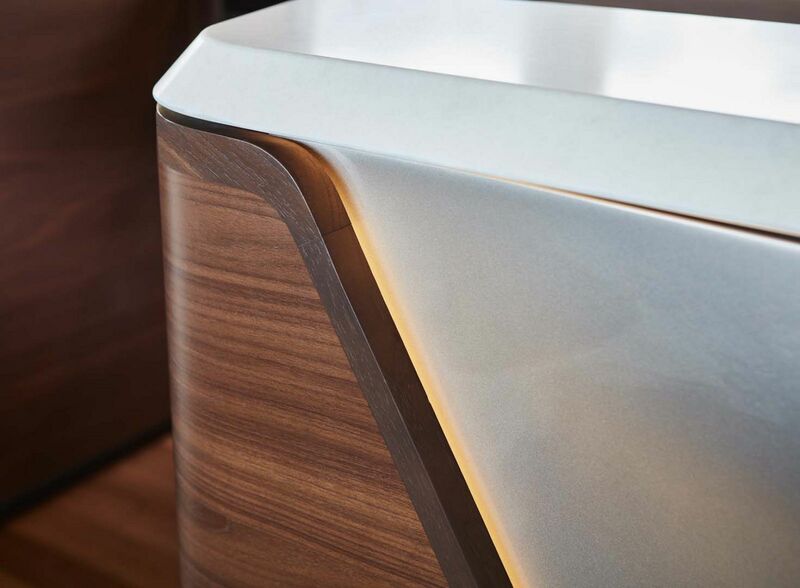 The wetbar, which includes a sink, coolbox, and barbecue, is conveniently located. 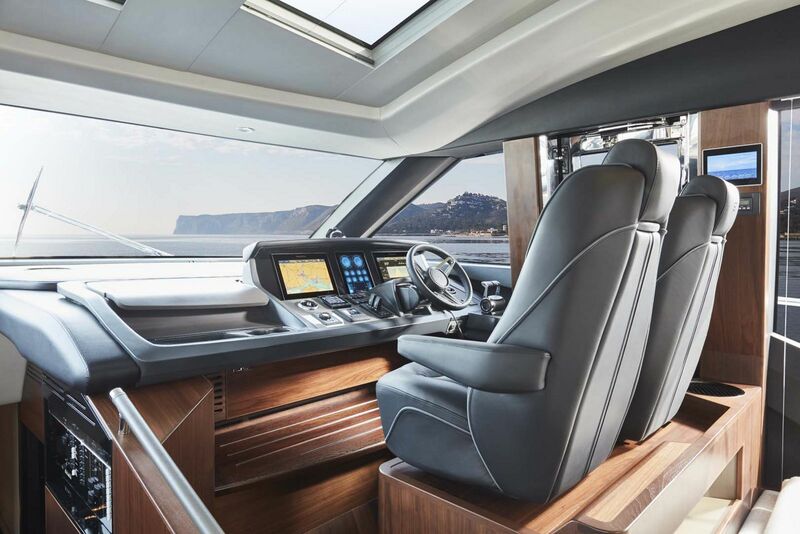 Driving the S78 from the sportbridge is also fun with the helm position being raised for great visibility. 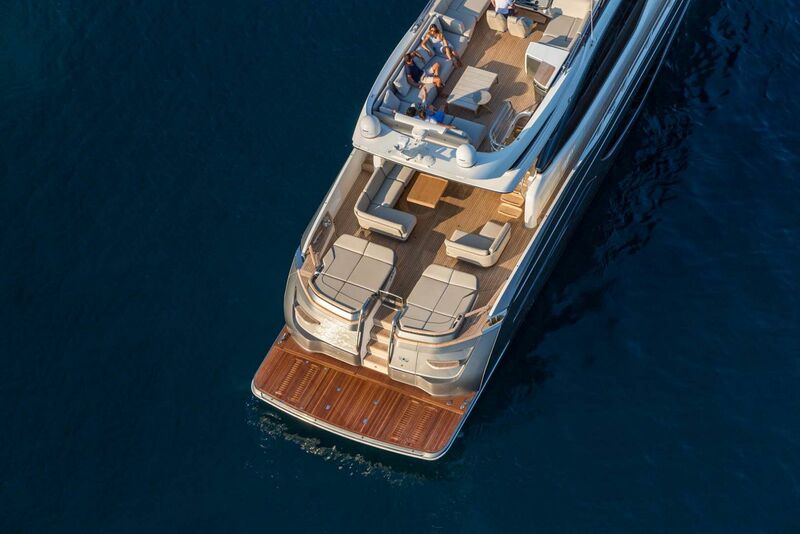 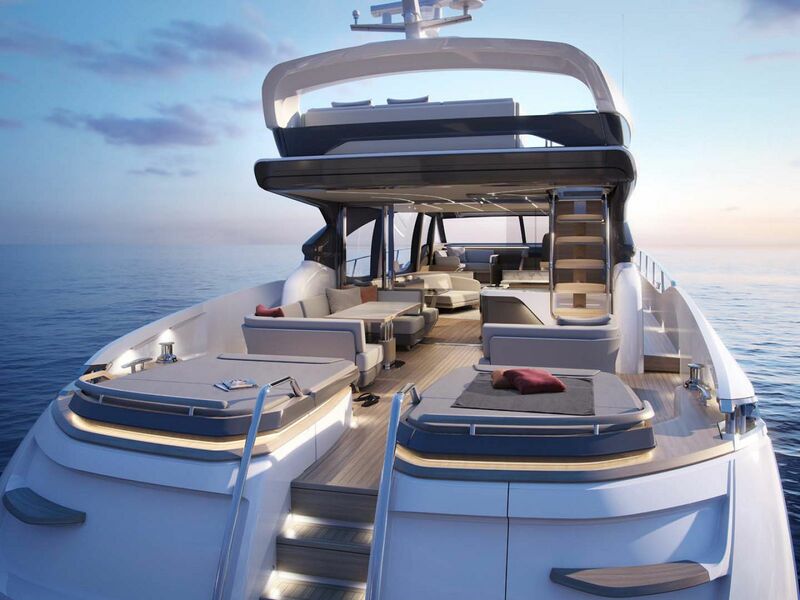 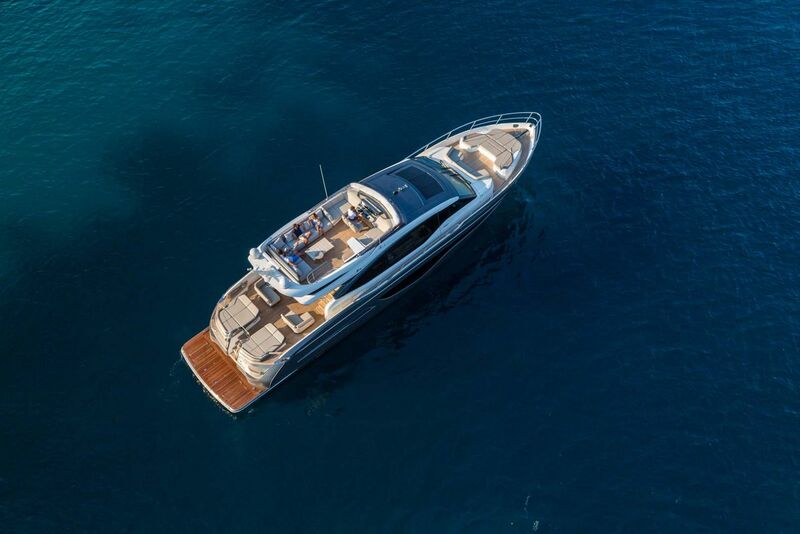 Further al fresco relaxation is offered on the split foredeck seating area — an ideal spot for watching the sun go down with a cocktail in hand. 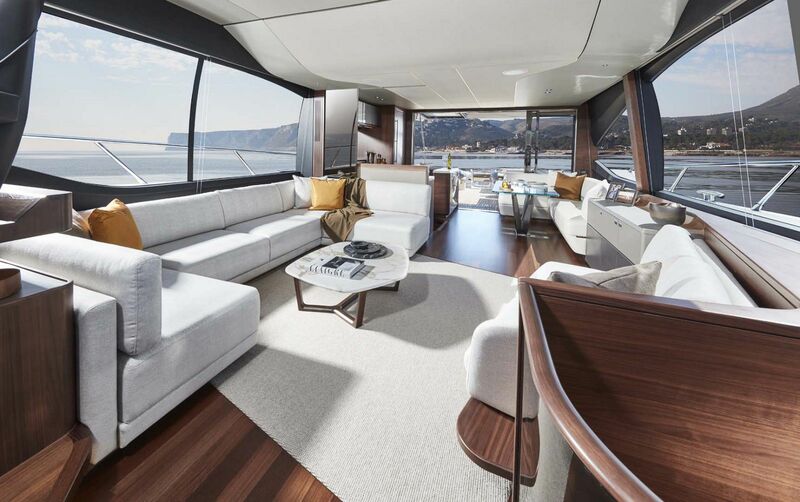 One of the most stunning attributes of the Princess S78 is the cockpit which features a wide variety of entertainment options. 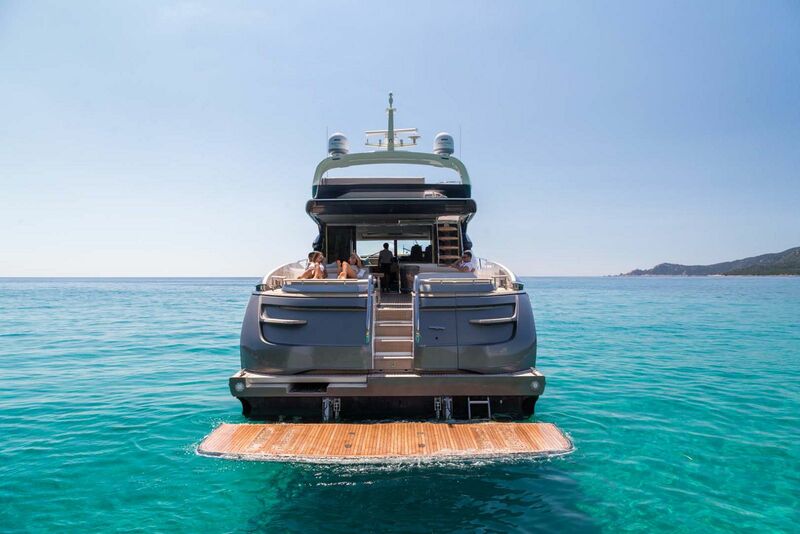 Teak stairs lead up from the swim platform centerline over the tender garage and come to twin sunpads. 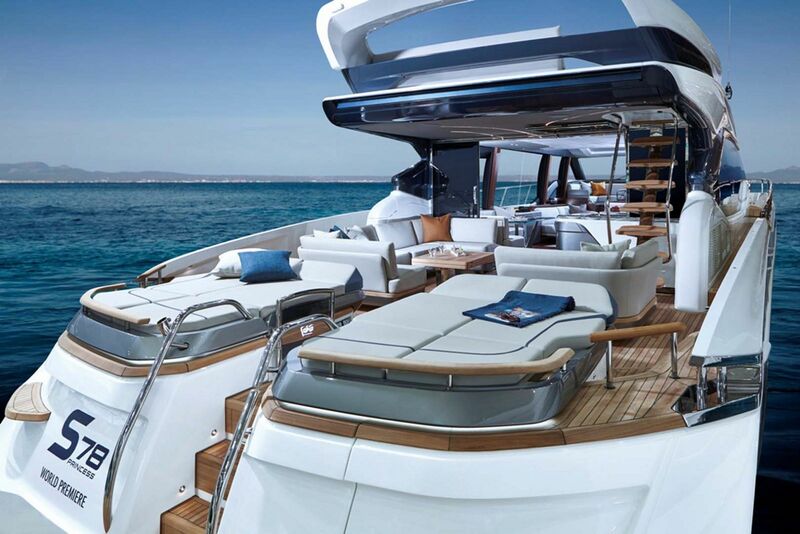 This is an amazing spot to lounge in the sun and enjoy the ocean. 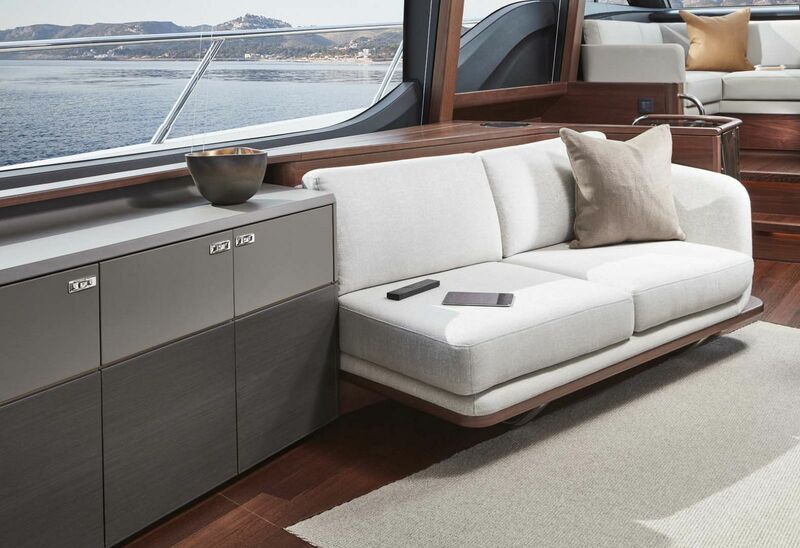 A U-shaped couch and folding table are adjacent to the sunpads offering a perfect area for dining alfresco or enjoying a conversation. 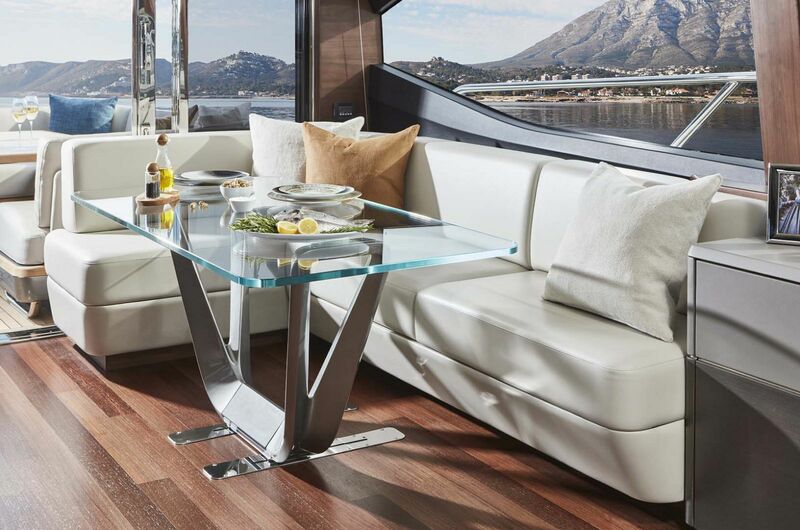 As much fun as your guests will have enjoying the boat in the sun, a good night's rest is imperative to fully enjoy your time at sea. 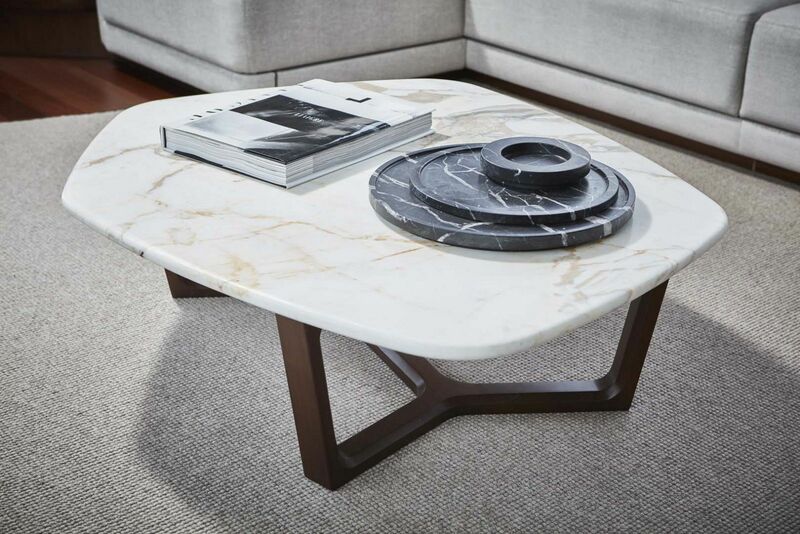 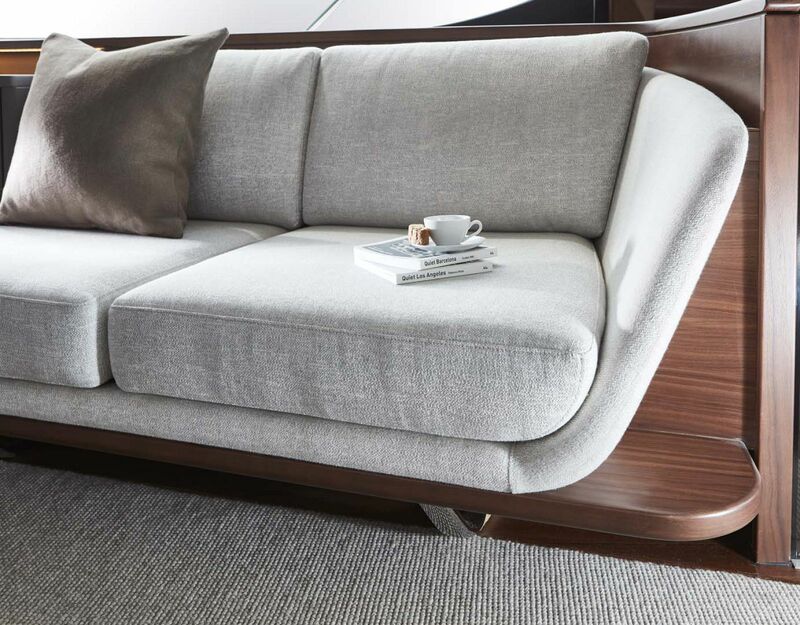 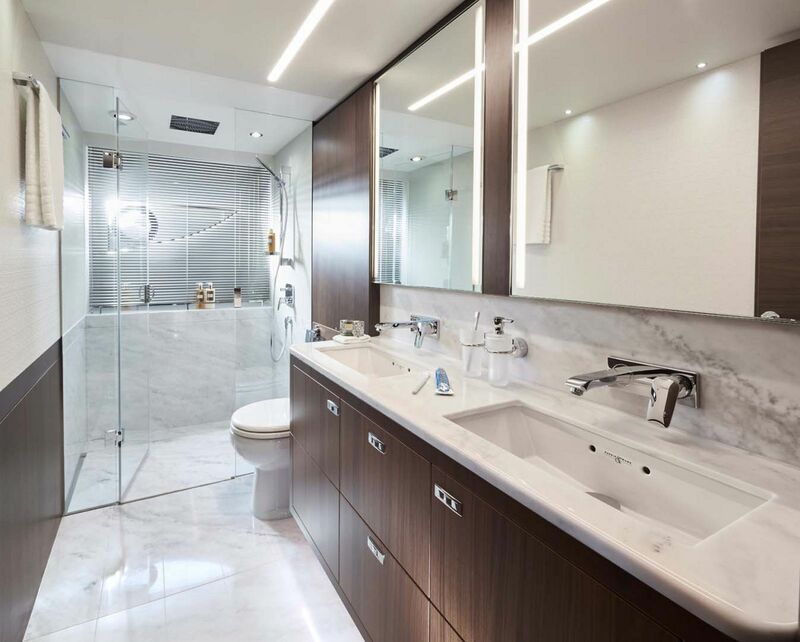 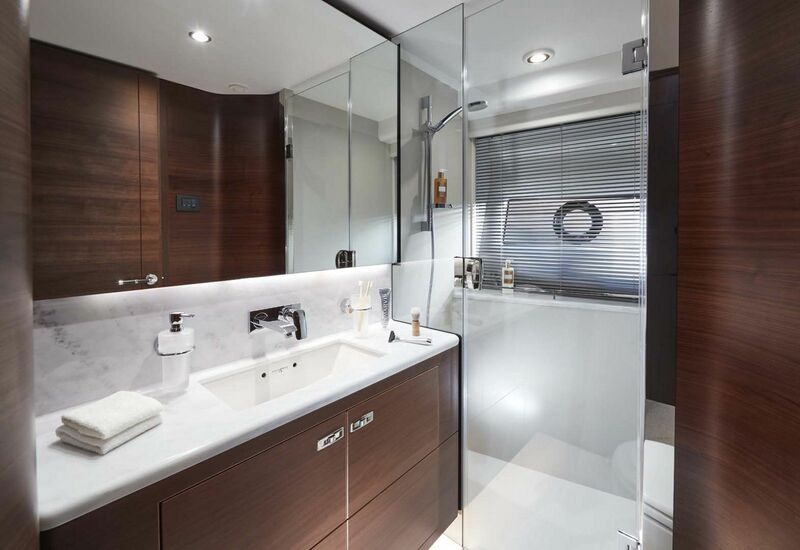 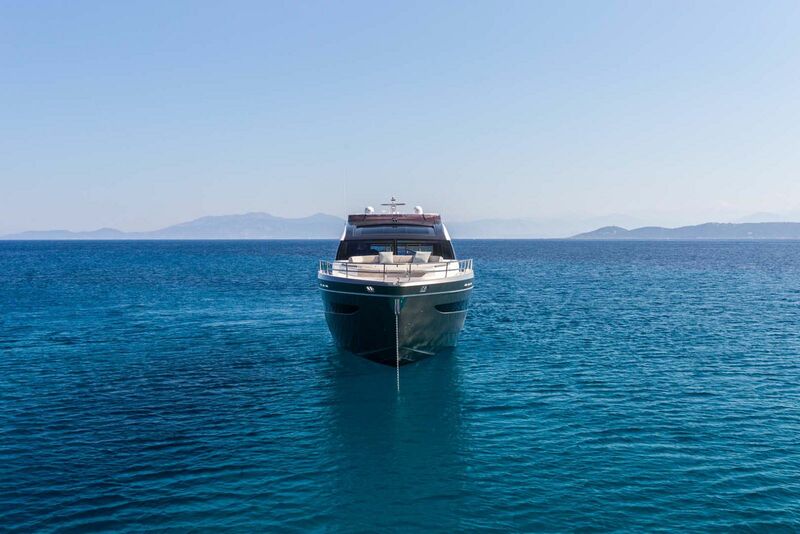 The owner's suite runs the beam of the boat which provides for an excellent space to unwind after a long day. 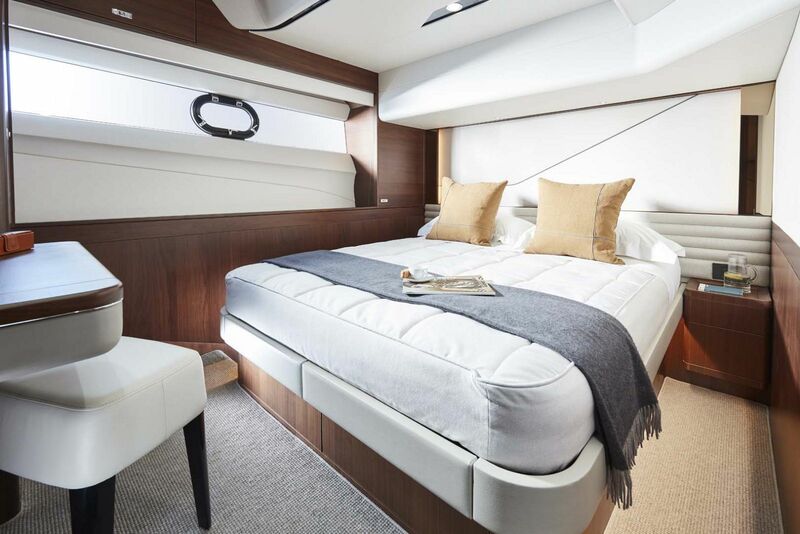 A large double bed in the center of the owner's stateroom has storage underneath but also plenty of room on either side for nightstands, a couch, dresser, and desk. 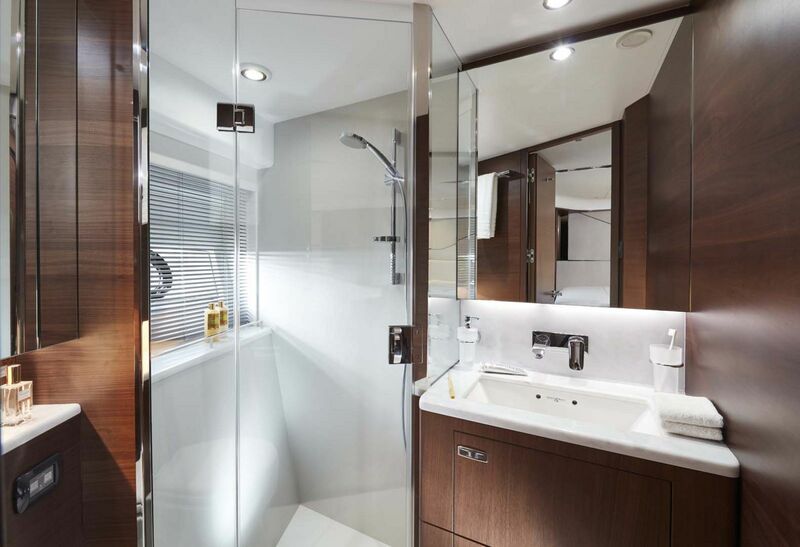 Drawers and hanging lockers, as well as a flat screen television, line the walls of the suite next to the oversized windows. 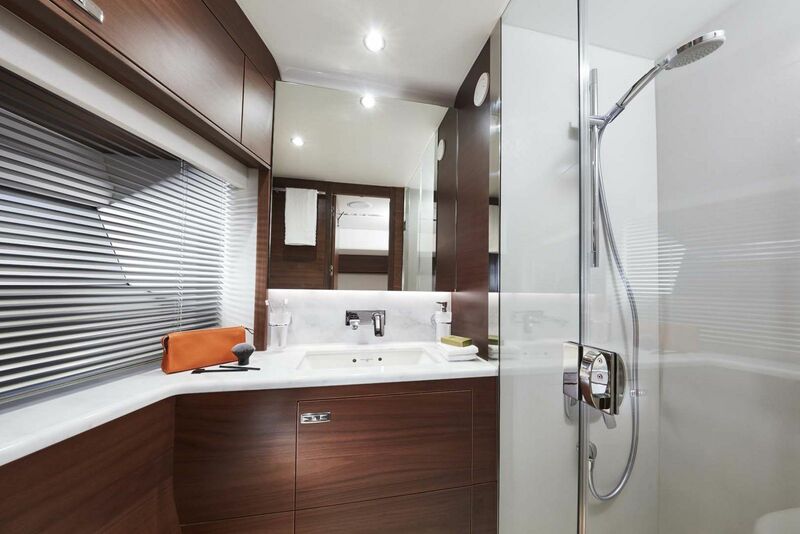 Two additional cabins along with a twin cabin on the portside can comfortably fit an additional 6 guests. 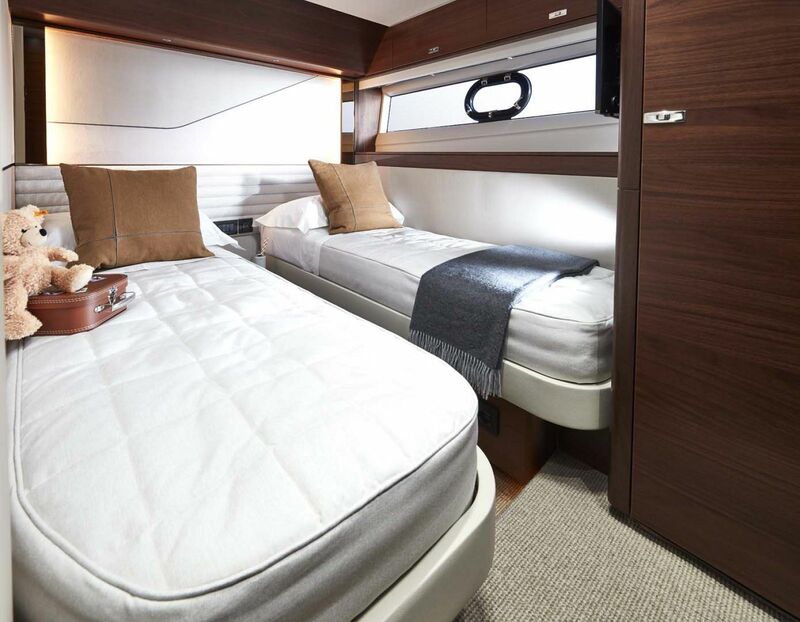 A comfortable crews quarters that's located aft can sleep 2. 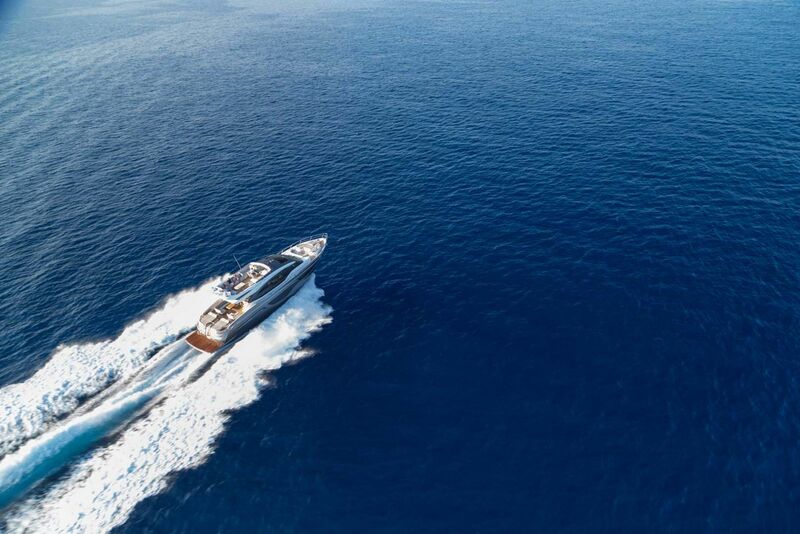 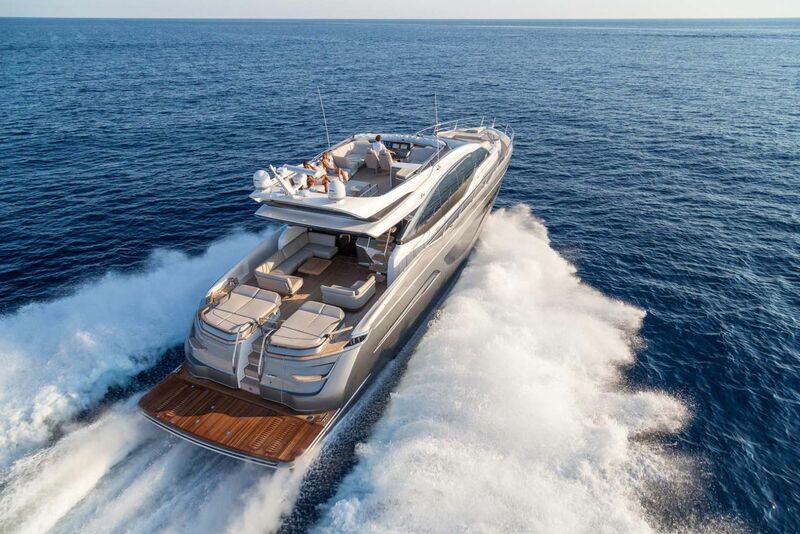 With a mid-30's cruising speed and a top speed of 39 knots, the twin MAN V12 engines push out a combined 3,800 horsepower to do the job efficiently. 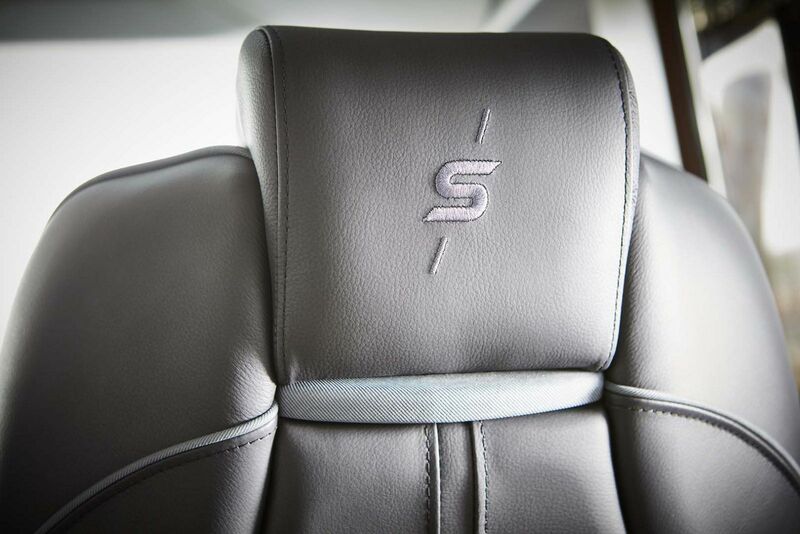 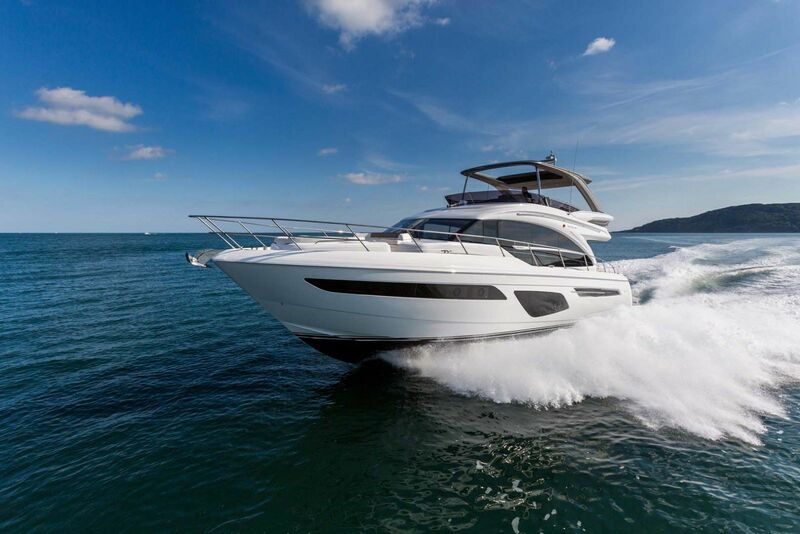 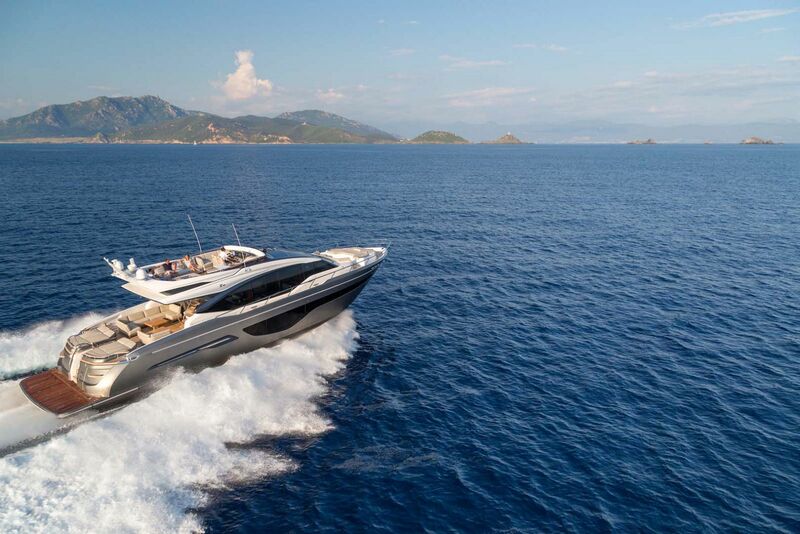 Make an appointment to feel the power of the Princess S78 Sportbridge with your SI Yachts Sales Professional today. 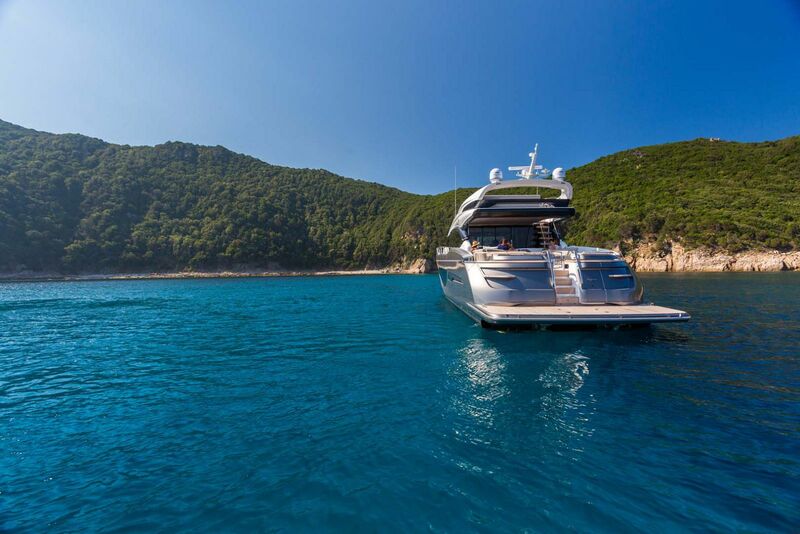 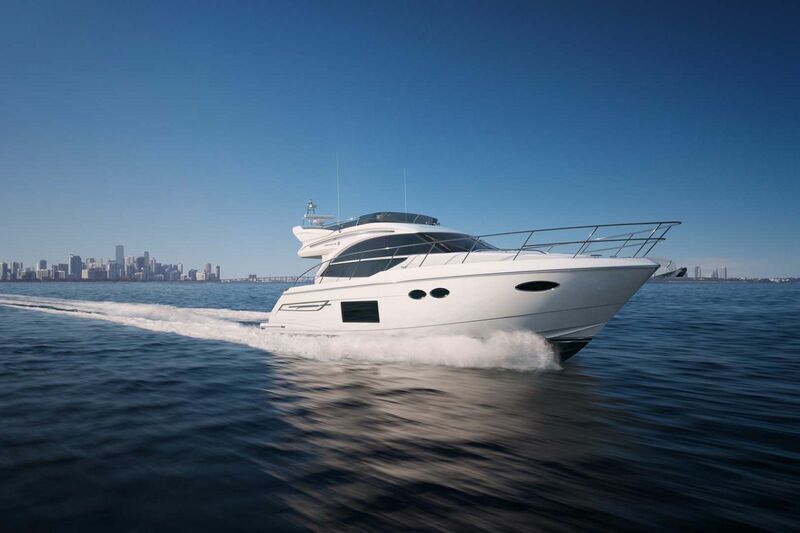 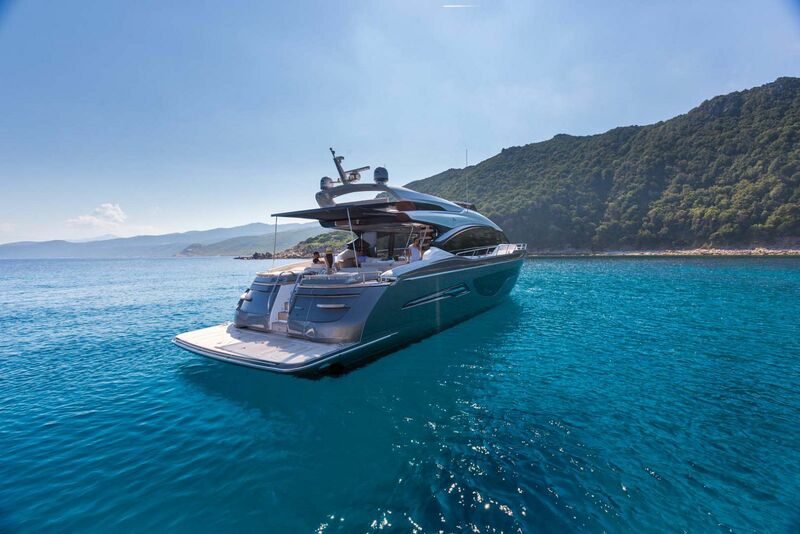 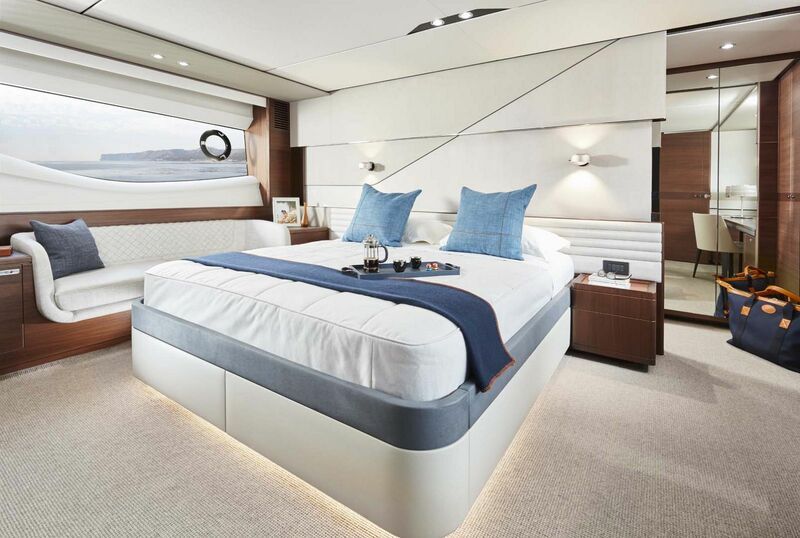 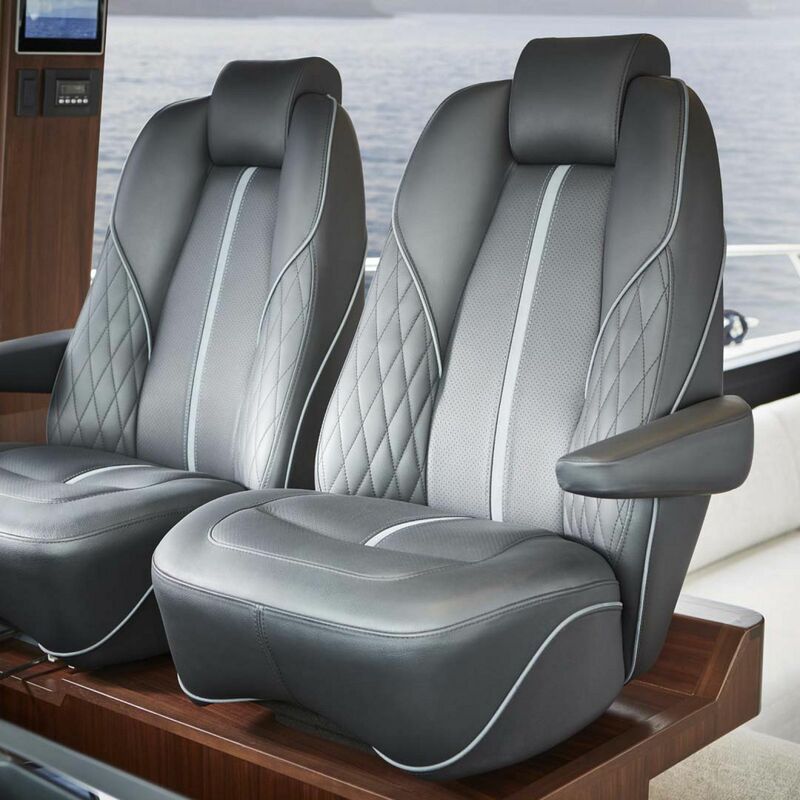 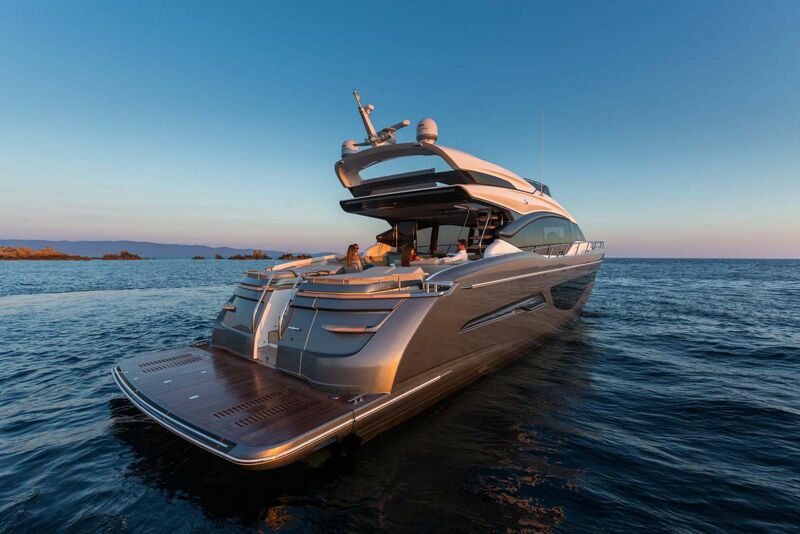 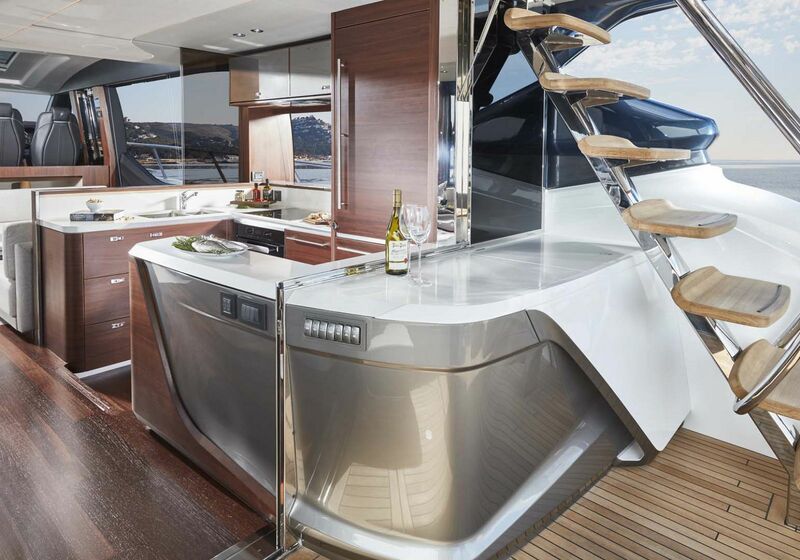 Boat International magazine looks in-depth at the new Princess S78. 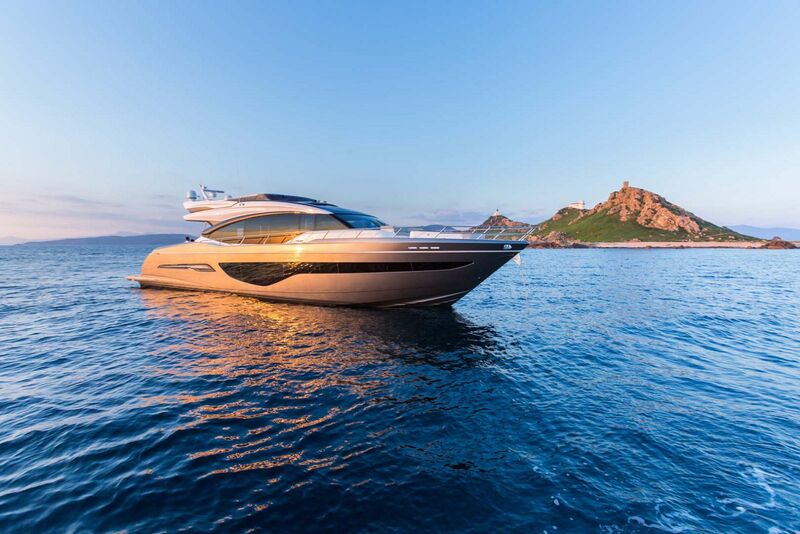 Boat Tube walks through the new Princess S78 at the Dusseldorf Boat Show.